​Crystal Palace goalkeeper Wayne Hennessey has been charged by the FA for the alleged Nazi salute he was pictured giving at the start of the month during a team dinner. The Welshman denied the incident upon it's release, claiming in a ​tweet he merely "waved and shouted at the person taking the picture to get on with it and at the same time put my hand over my mouth to make the sound carry." However, it has now been confirmed by the FA's official spokesperson that the keeper will be charged for the offence, on the count of breaking Rule E3 of the FA's handbook. In the official statement, the FA proclaimed: "Crystal Palace goalkeeper Wayne Hennessey has been charged with a breach of FA Rule E3. "It is alleged that a gesture he made, which was captured by a photograph and posted on social media, breached Rule E3 as it was abusive and/or insulting and/or improper and/or brought the game into disrepute." 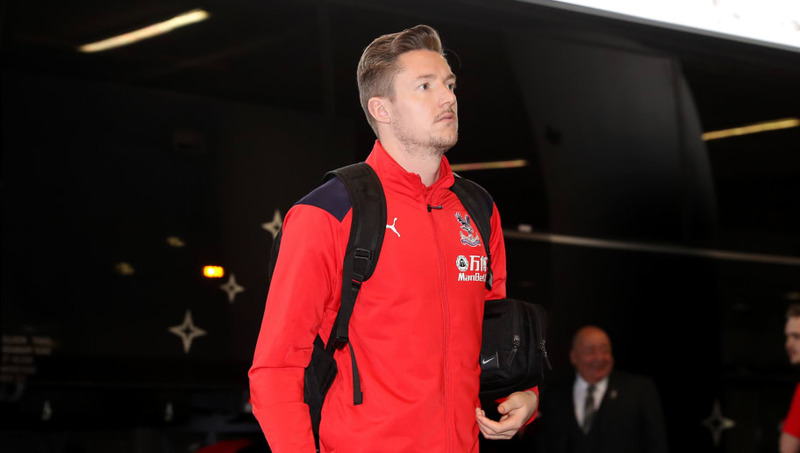 [1/4] Crystal Palace goalkeeper Wayne Hennessey has been charged with a breach of FA Rule E3. The statement continued: "It is further alleged that this constitutes an ‘Aggravated Breach’, which is defined in Rule E3, as it included reference to ethnic origin and/or race and/or religion and/or belief." It ended by stating that the 31-year-old Wales international, who has been capped 81 times by his country, will have until January 31st 2019 to respond to the charge. Hennessey has been with the ​Eagles since joining from Wolves in January 2014, registering 124 appearances for the south Londoners. He has made 17 appearances in the ​Premier League this season, though has played just 45 minutes this year due to injury.